At Frame On we can make bespoke stretcher frames to your requirements. We can hand stretch these with primed cotton canvas ready for painting or we can stretch them with your completed canvas print or artwork. We can print canvas in-house up to 24inch wide. 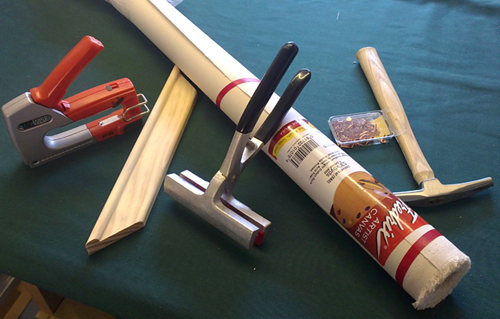 Stretcher bar mouldings we use are quality 40x28mm for gallery wrap artwork or 40x20mm for framing. The canvas we stock is a USA produced 'Fredrix' artist canvas. This is an even textured medium weight cotton which is acid free universal media primed and comes in a 52" (1.32m) width. A 100% linen canvas can also be provided if required - subject to a minimum order.